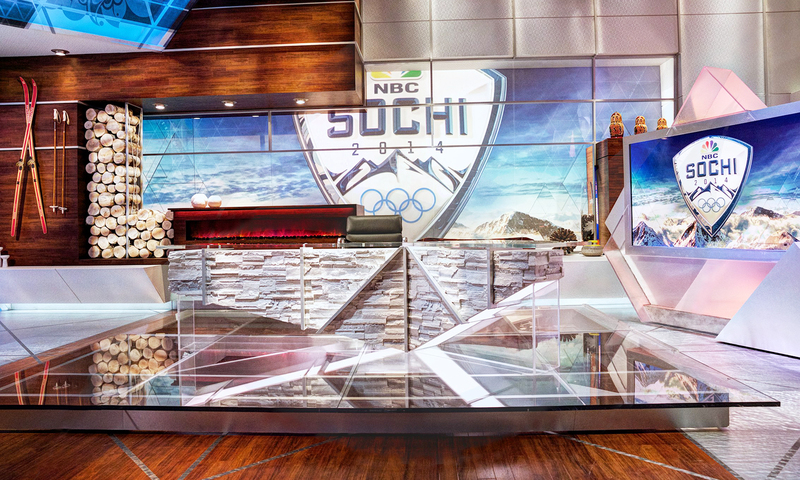 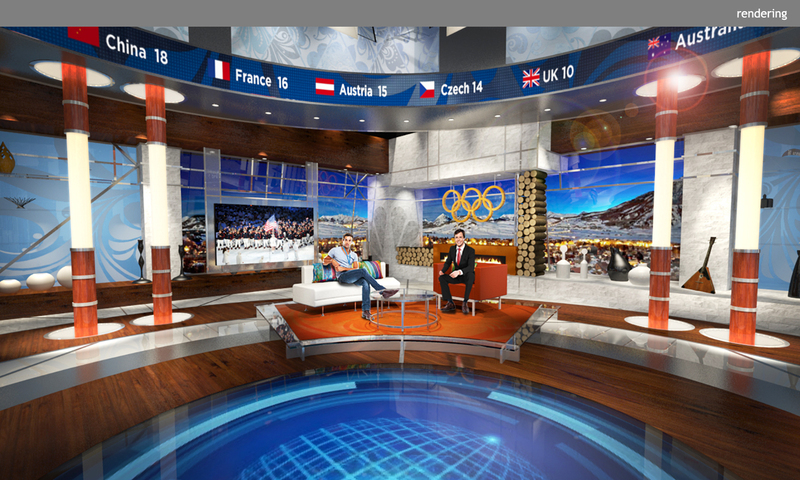 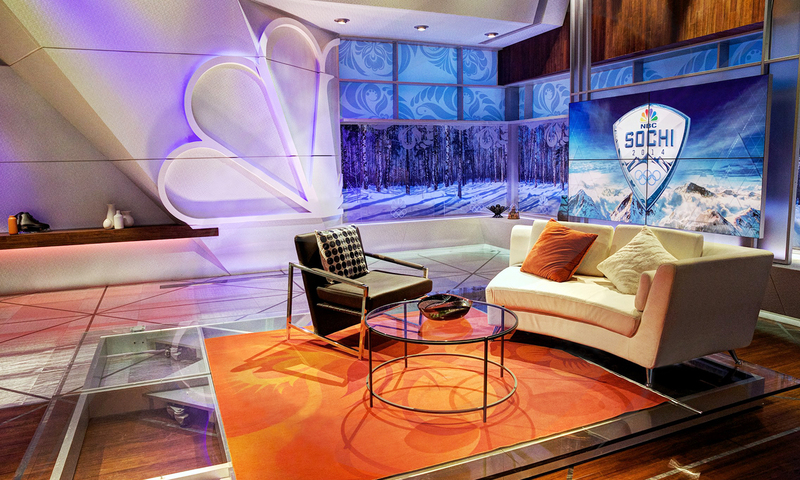 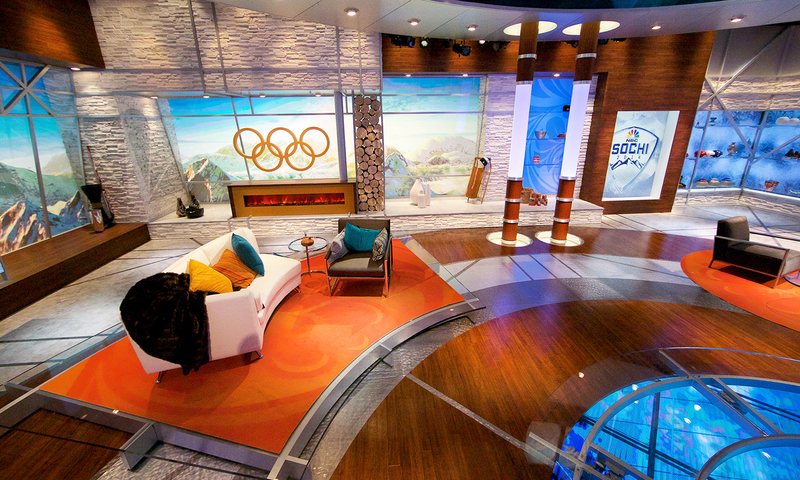 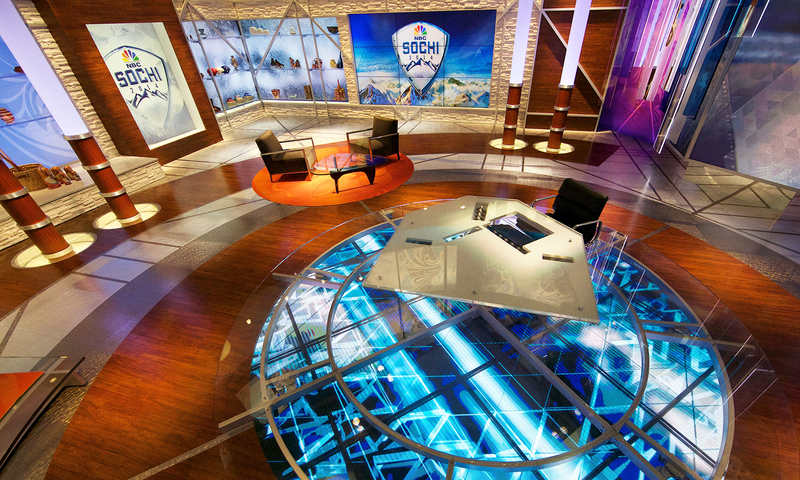 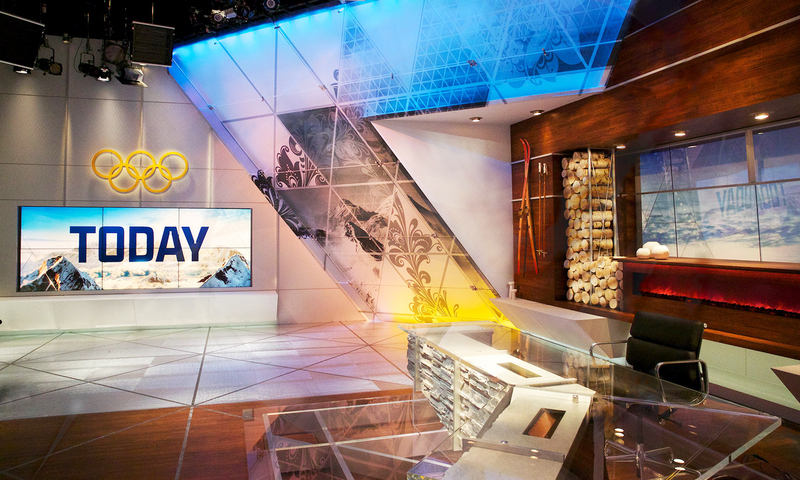 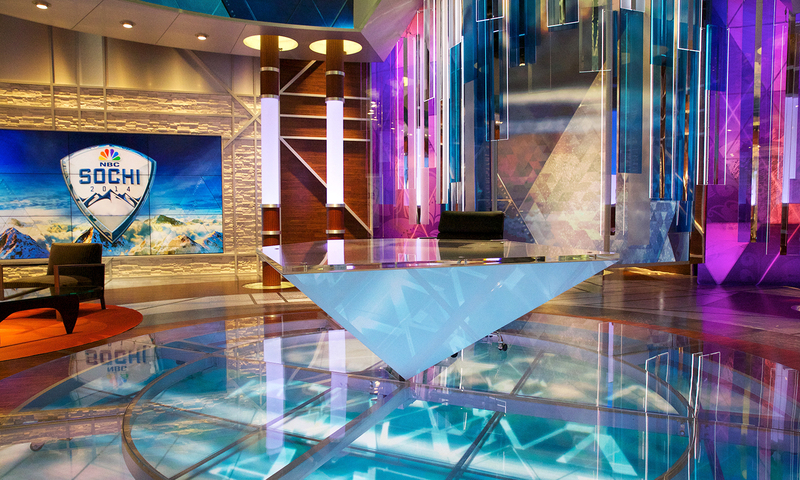 Wood, stone, fire, and ice inspired NBC’s sets for the 2014 Olympic games. 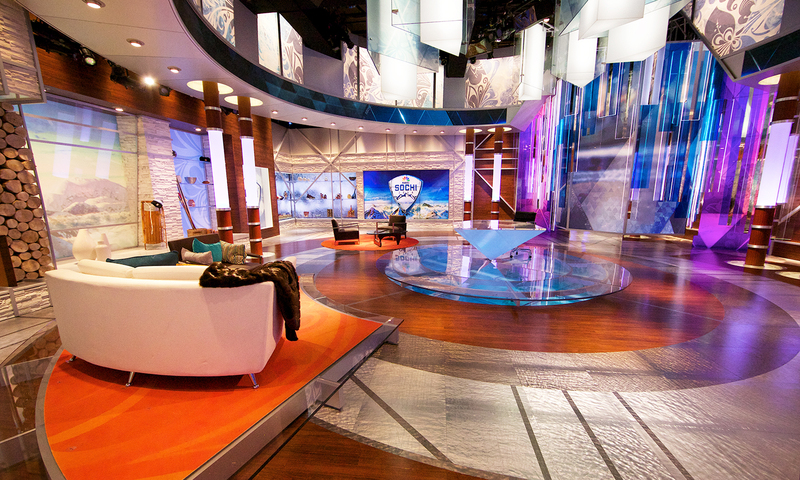 Coverage included broadcasts from two studios: daytime and primetime. 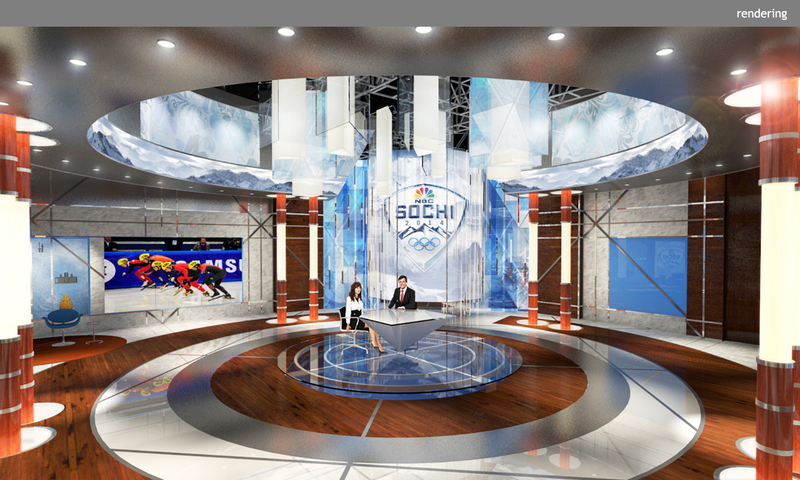 Both studios embody a strong sense of place, offering projected views of the coastal and mountainous Sochi landscape and incorporating elements of Russian culture and architecture. 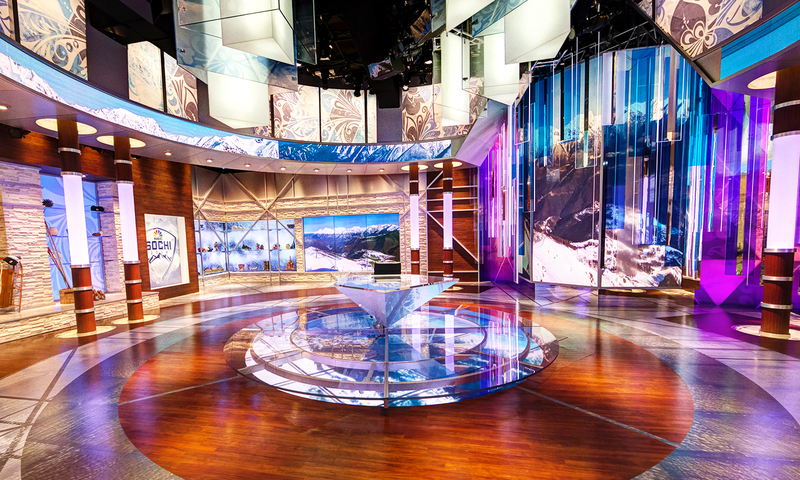 Dramatic, spacious, and crisp, the sets communicate a crystalline winter environment and the elegance and prestige of the occasion. 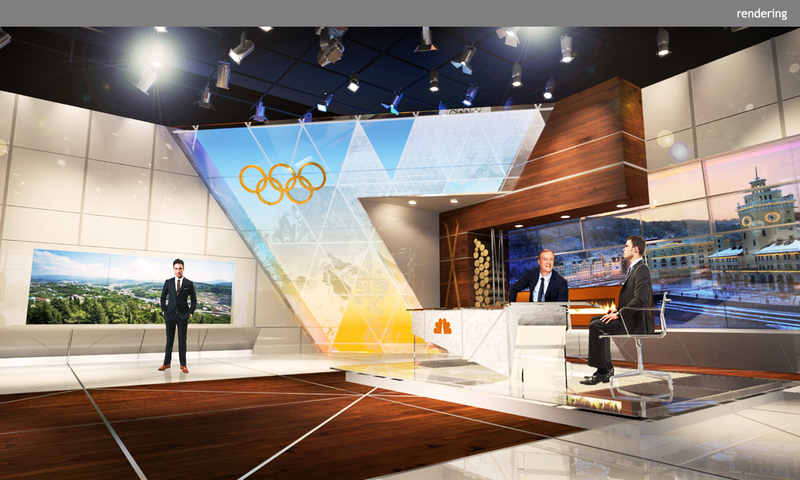 The NBC studios, in particular the primetime studio with host Bob Costas, served as America’s home for Olympic coverage.